As one of America’s finest in home and condominium protection, Eurex Shutters prides itself on expert craftsmanship. 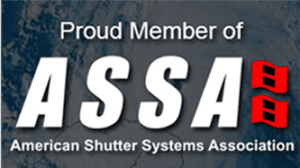 With 25 YEARS OF EXPERIENCE in the shutter and storm protection industry, our professional staff provides quality service, design, and products made from the finest material. At Eurex Shutters, we pride ourselves on providing “PEACE OF MIND” for our customers with affordable protection for your property, belongings, and most importantly, your family. Increase your comfort at work and at home by providing protection against the elements and benefit from year-round energy savings. We provide the industry’s finest warranty. Eurex Shutters strives to be number one in customer service and satisfaction for both our wholesale and retail customers. All of our products comply with Current Florida Building Codes and have passed the wind load and impact requirements. We at Eurex Shutters would like to thank you for taking the time to look at our website. Eurex Shutters prides itself on our relationship with our customers. We always look out for the best interests of our customers. Me and my family have been in this business for over 20 years, and this is not just a job to us. This is our livelihood. We strive to make sure that our customers are not just satisfied with the product, but also educated about storm protection. It is these happy customers that has allowed us to provide South West Florida with a great product, installed by a wonderful knowledgable staff, and at reasonable price. Again thank you for taking the time to look at our company, and we look forward to hearing from you.